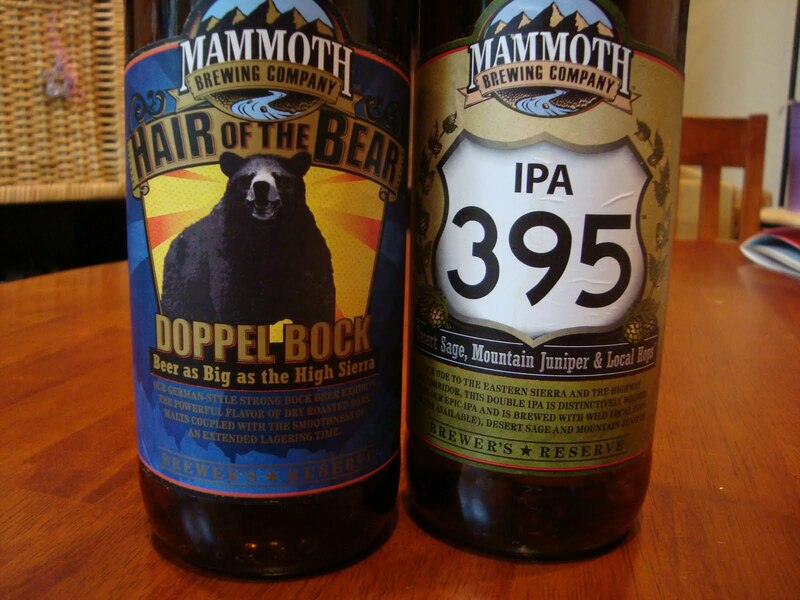 Last month during a trip to Yosemite National Park, I discovered a few brews from Mammoth Brewing, and brought a few home. Mammoth Lakes does not seem to distribute into the San Francisco Bay area, so I’m glad had a few to enjoy over the past month. You can read about a few of their beers on a post from last month, and wanted to add a couple more to list of their beers worth seeking out. Tastes like liquid banana bread! Plenty of banana-like fruity esters, lots of roasted malt and maybe a slight taste of bitter chocolate in their. Feather like quality on the tongue and finishes very smoothly. The 9% abv isn’t noticeable with all those great flavors blended together. Named after the highway through the Eastern Sierras, Mammoth Brewing uses local grown hops, dessert sage, and mountain juniper to create a unique, very savory, slightly earthy and somewhat herbal double IPA. There’s a good dose of slightly toasty malt to balance all the hop and herbal goodness. I just found this to be a very creative and memorable brew.